7 yrs experienced in housekeeping. 6 months worked in Leela Hotel Kovalam Trivandrum. 2 1/2 yrs worked in Renai Medicity Hospital Kochi(Housekeeping Supervisor). 2 1/2 yrs worked in Aster Mims Hospital Calicut(Housekeeping Site Manager). 6 months worked in Lakeshore Hospital Kochi(Housekeeping Site Manager). Currently worked in Baby Memorial Hospital Calicut(Housekeeping Site Manager). 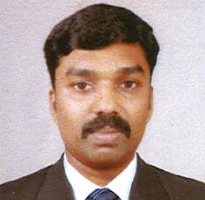 Send a message to SREEKANTH S.S.